Extremely strong, impact resistant and durable. Contact us for a material list and mechanical properties. Definitive provides industrial grade 3D printing utilizing Selective Laser Sintering (SLS) and Sterolithography (SLA). 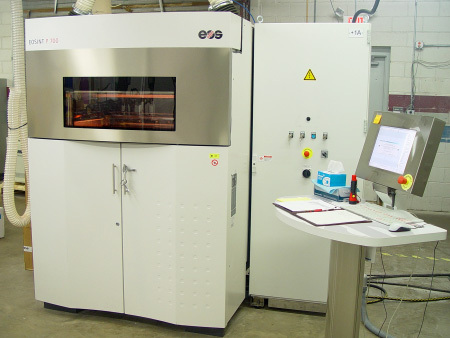 Selective Laser Sintering produces prototype parts in durable nylon materials. Sterolithography produces prototype parts in a wide variety of material properties with very high-accuracy and high levels of detail. We ask our clients to provide us with a CAD or .STL file, definition of the the intended use and structural requirements. Our sales technicians will then recommend the best fit process and material. Request a quote for Rapid Prototyping Services today! Fill out the form below and we will respond within 24 hours.